It’s no secret that dogs can bring health and happiness to the lives of their owners. Their unconditional love, compassion, and companionship warm the hearts of many. As a dog owner, it is your responsibility to make sure that your canine feels just as good. This includes taking care of their mental well-being. What you may not know is that dogs are very emotional creatures, and need lots of TLC to make sure they stay happy and healthy. It is important to recognize if something is going on with your dog emotionally. Part of this means paying attention to their behavior. For instance, dog aggression symptoms might include lunging at people, not eating when approached, urination, pinned ears, lack of eye contact, and more. A dog who is depressed on the other hand might be distant, have a suppressed appetite, and whimper frequently. If you believe something is going on you need to take your dog to the vet. Ask questions like what can I give my dog for anxiety? How can I help my dog deal with grief? What lifestyle changes might be needed to improve their health? Also be prepared to answer questions about events leading up to your dog’s changed behavior, dietary choices, exercise, and more. Together, you and your vet can determine the best course of action for improving your dog’s well-being. Your dog needs exercise regularly for positive mental health. Make time in your day to take your dog on walks. Outdoor play like fetch, hiking, running, and roughhousing are also advised as this helps to boost their spirits. You can take exercising indoors by going up and down the stairs, playing tug of war with a rope, and other activities. Try to do this on a daily basis for the best results. Dogs need stimulation just like humans do. If you sit around all day staring at walls, eventually you’re going to go crazy. This is exactly what happens to your canine. Boredom might be expressed by getting into things like your shoes or clothes and really make a mess of things. Though you probably have a ton of things on your plate it is ideal to enrich the life of your dog. Take them to the park, play around in the house, go for a ride, and even allow them to engage with other dogs. 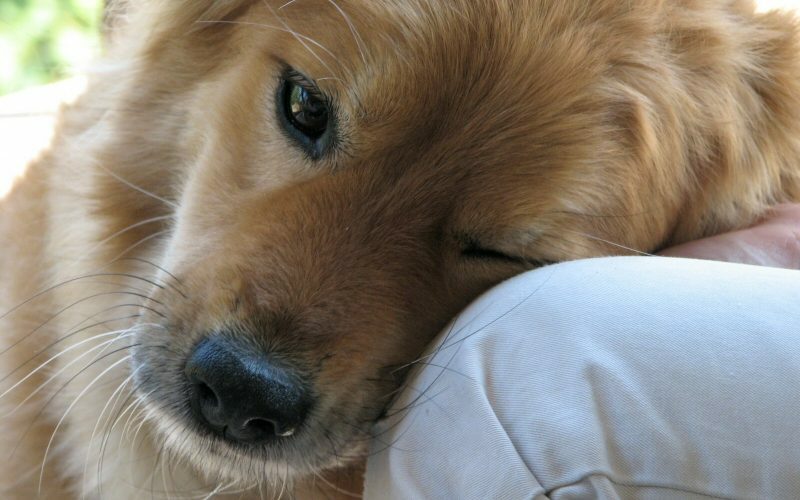 Who knew that your dog’s emotions were so similar to humans? Your dog feels happiness, sadness, anger, fear, and frustration just the same. Since they’re unable to express themselves, their behavior often changes sending signs that something is up. You can do right by your canine and their mental well-being by taking care of them with a proper diet, regular exercise, and frequent stimulation. At the onset of emotional issues with your dog, be sure to visit a vet for the best advice on how to get your pooch’s health back in tip-top shape.